Sarasota Florida is the Fastest Growing Luxury Real Estate Market in the U.S. It's no wonder that Sarasota, Florida has topped yet another list in the real estate market. This time, out of 91 major market segments across the U.S., Sarasota was named the fastest growing luxury market in their study. Think about that. What was once referred to as a "sleepy fishing village", has now made the list of the top fastest growing luxury markets in the United States. Our next logical question we should ask is, why? Why is Sarasota, Florida so appealing to so many and where are these people coming from? According to Realtor.com, they are coming from the northeast. According to Realtor.com®, "Luxury prices in the Sunshine State are rising quickly as buyers from places like New York, Boston, and Chicago get wind that there is a better bang for their buck available down South," said Javier Vivas, director of economic research for realtor.com®. "Meanwhile, we are seeing signs of a luxury market glut in many established markets, which is in some cases leading to spillover demand for their less pricey neighbors." A better bang for your buck? That is certainly a contributing factor, but there are a lot of cities in Florida that have nice beaches and lower home prices than Manhattan. The issue is not about getting a better bank for your buck when you choose to buy a home in Sarasota...you get the most bang for your buck in Sarasota! Sarasota county has several great beaches, with the world-renowned Siesta Key beach being the crown jewel of area beaches. Sarasota has a rich cultural history with plenty of activities related to the performing arts, a vibrant downtown community, and some of the best watering-holes and restaurants in the area. Sarasota also has one of the best school districts in Florida with eleven local schools making the Top 100 list of Top Ranked Schools in Florida according Niche.com. Sarasota is also home to Pine View School, one of the few publicly-funded schools for the gifted in the United States. U.S. News and World Report rated Pine View the #1 High School in Florida and #6 in the entire U.S. for Magnet High Schools. Pine View teaches grades 2-12 and has strict academic guidelines. Children who attend Pine View are required to "test in", based upon the IQ score and other intelligence tests. If you are looking to move to warmer weather, bluer skies, and sunny beaches and you have children...Sarasota may well be worth looking into if you are looking to move to Florida and education is important to you. Need something to do in Sarasota? Of course, we have the beautiful, powdery white sand beaches, but Sarasota has a multitude of other entertainment options available to our visitors and residents. 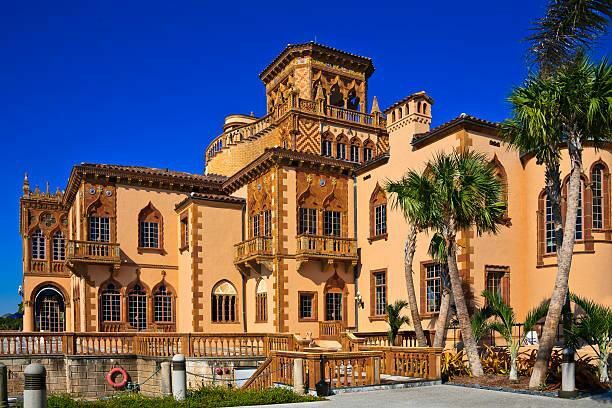 Sarasota is home to The Ringling Museum, Sarasota Jungle Gardens, the Marie Selby Botanical Gardens, The Asolo Theater, the Sarasota Ballet, the Van Wezel Performing Arts Hall, and many other smaller venues for the performing arts. Downtown Sarasota continues to see increased development but manages to maintain its small-town feel. A multitude of reasons exist as to why Sarasota is so special to so many, and honestly, the word is out. Luxury real estate buyers have a myriad of choice areas they can buy their new Sarasota home, each area having its own particular lifestyle attached to it. For example, Siesta Key offers nightlife, restaurants, water related excursions, and lots of visitors. At the same time, Longboat Key is more "low key" with limited public access to the beach and no main public beach at all. Longboat Key still offers some dining choices, but that would be nada on the nightlife. Nothing to fear though, depending on which end of the key you lie closer to (north or south), you will still have easy access to St. Armand's Circle, downtown Sarasota, and Anna Maria Island. Although Sarasota, Florida was the fastest growing luxury market in the U.S. in May, it is important to note that northern California saw the most increase across six counties. The numbers in California are meaningful, but the price growth in those markets were between 10%-14%, with most being in that 10% growth rate. Sarasota, on the other hand, doubled what we saw in most of those top tier markets, with an annual sales price up 21.2%. Crazy, right? 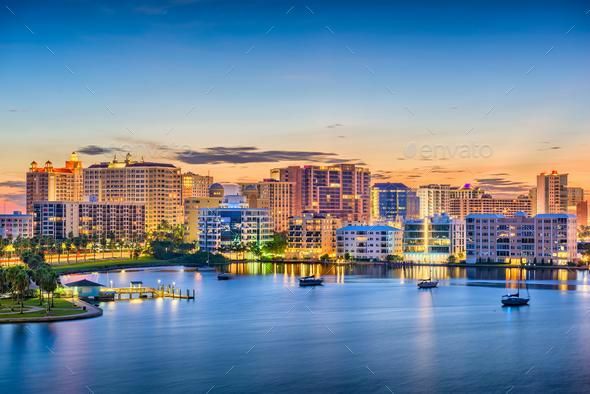 Sarasota, Florida simply has so much to offer her residents and visitors in all demographics that it is quickly becoming not only one of the top vacation destinations in the country, but one of the top places for folks to settle in and call Sarasota, "home". If you, or someone you know, is looking to buy a home in Sarasota or are considering a move to Sarasota; feel free to contact The Coffey Group Fine Homes International with Keller Williams Realty. We are here to help and answer any questions that you may have.